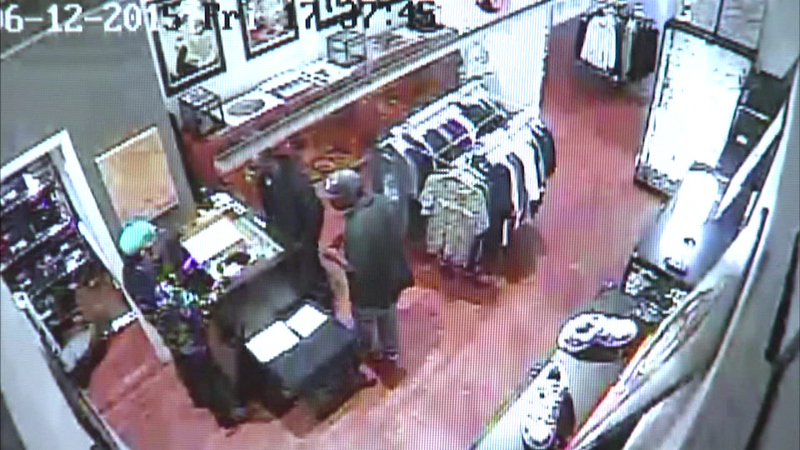 Surveillance video has been released showing two gunmen robbing a store in the Noble Square neighborhood Friday night. CHICAGO (WLS) -- Surveillance video has been released showing two gunmen robbing a store in the Noble Square neighborhood Friday night. The store located in the 1400-block of West Chicago Avenue sells a variety of items, including Chicago Blackhawks gear. The suspects made off with some merchandise, but no one was hurt.